While July still might be a long ways off, San Diego Comic Con plans are starting to come together and I couldn't be more excited. My group survived the Hotelpocalypse, ended up with a room not too far, and have already began to line up the off-site fun. Looking forward to seeing my fellow nerds in San Diego and providing coverage of the con for those who can't attend. Old Man Logan #23 - After waiting a couple of issues, we finally return to Logan's body where Asmodeus is attempting to auction off its remains to the highest bidder. With Logan lost in the time stream, his vacant body could fetch quite the price. 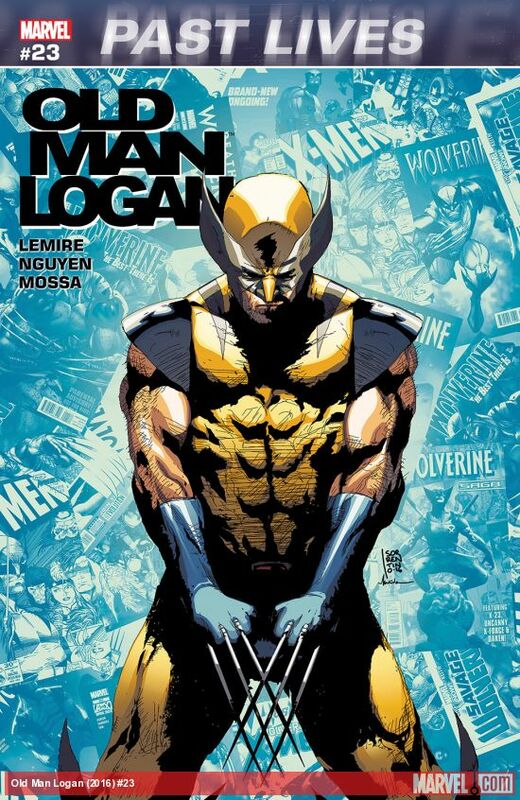 Meanwhile Logan continues to travel through his own past in attempt to return to his body when something changes at the end of this issue. It saddens me that Jeff Lemire is wrapping up his run with this series when he finishes this arc in issue #24, but it has been one hell of a ride. I really questioned how this series would work as an ongoing, but Lemire had no issue writing a compelling story about the human element of Logan and the suffering he has had to endure. X-Men Blue #3 - I have to admit that it feels good to be reading an X-Men series again. It has been too long and Cullen Bunn is doing a great job dropping in little Easter Eggs for the fans, while creating something that feels new and fresh. The original X-Men (Marvel Girl, Cyclops, Angel, Beast, and Iceman) have been displaced in the time continuum and find themselves in a future where their very existence is threatened. Not sure who to trust, the team is working with Magneto, but it appears that he is hiding his true motives. 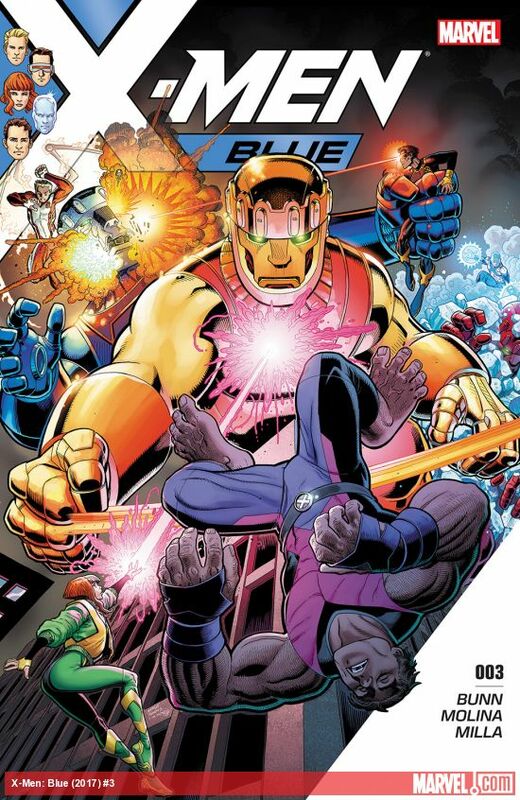 The latest twist in this series has the X-Men dealing with a group of Sentinels that refer to themselves as "fellow mutants". I won't spoil why the Sentinels seem friendly, but rest assured that Bunn has a firm grip on what fans want and is a master of keeping the reader guessing. Really enjoying this series. Guardians of the Galaxy: Mother Entropy #2 - After riding the high of watching Guardians of the Galaxy Vol. 2 I decided that it was time for me to revisit the comic book world of this dysfunctional team. I enjoyed the Free Comic Book Day issue and decided to give this odd book a go. The Mother Stone, a sacred relic of great power, transported the Guardians and Pip the Troll to another dimension in which they must pass a series of tests to determine who dimension's Mother Entropy. 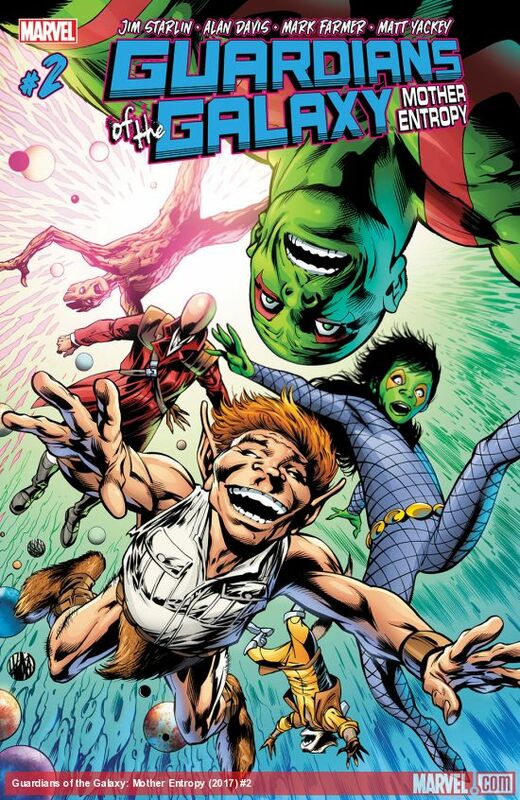 It is a bizarre issue that has the Guardians reliving their past, facing their deepest fears, and switching bodies. Despite how odd this book was, it was fun and does a good job highlighting the quirks of the heroes and what sets them apart from your standard superhero. 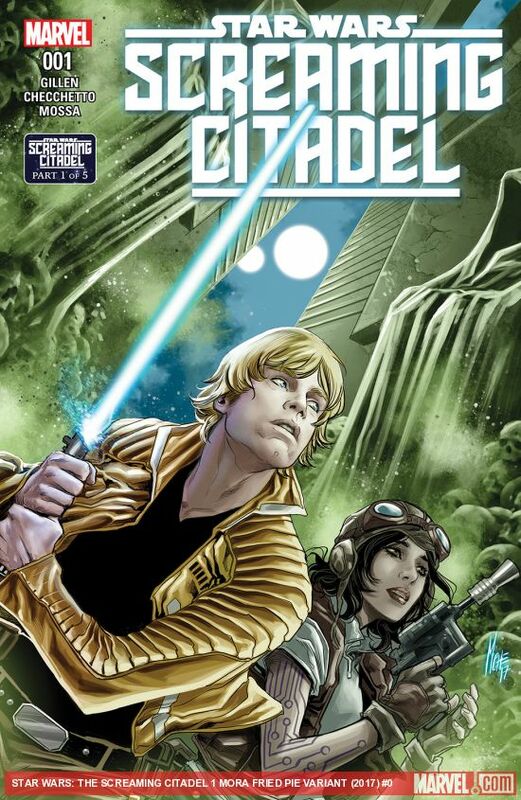 Star Wars: Screaming Citadel #1 - After enjoying the Doctor Aphra spin-off I am happy to report that she is teaming up with Luke Skywalker for this miniseries. If you recall, Aphra has a valuable artifact from the Jedi Temple that she needs help unlocking. Luke desires to train in the ways of the Force and together they might be able to work something out. Aphra continues to be a much more complex character then when we first met her working with Vader. Luke's trip with Aphra has caught the attention of his friends and the person they are dealing with to help them with the artifact is highly suspect. There is going to be a lot of drama in the next few issues and I can't wait!